See Kim's interview with Wonderfil threads as part of their Teacher of the Month series! this pieced block of the month by Kimberly Rado! Began July 1st 2018, but spots are still available. Call ASAP to sign up: (858) 345-1845. 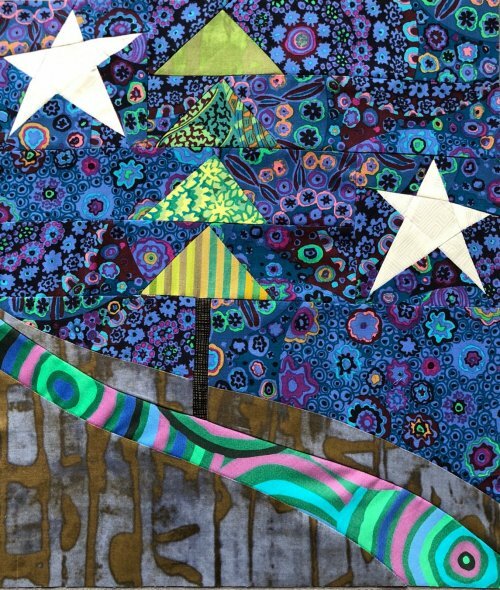 Starry Night Hollow is a quilting and fiber arts studio located just west of the I-5 in beautiful Solana Beach, California. Within our studio we offer a unique selection of fabrics and patterns along with classes designed to inspire you and encourage you to explore and complete your creative ideas. Starry Night Hollow is a relaxing and stress-free place to enjoy the company of friends, or make new acquaintances who share your passion for crafting with fabric and thread.